Electrical consumption on bottling day at Mad Zack Brewing. 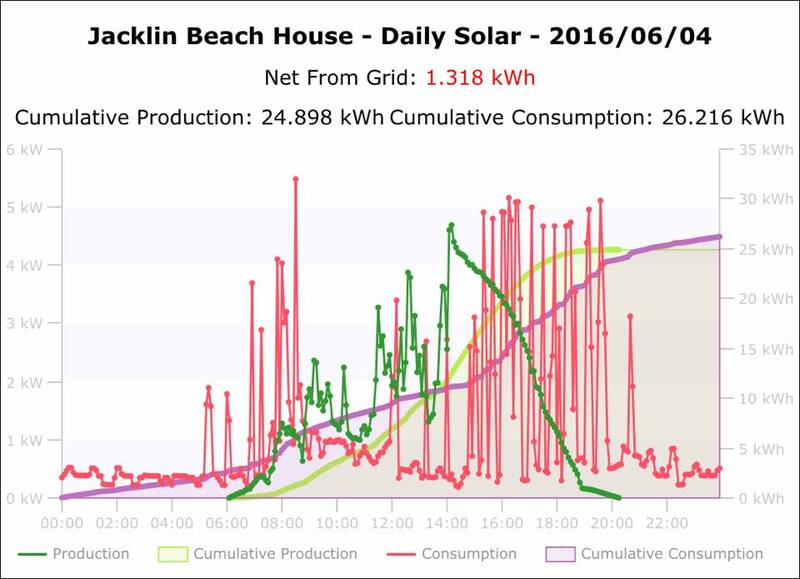 The spiky red line is consumption, the green "half dome" is our solar production ('twas a cloudy morn! ), the purple and light-green shaded-under plots are cumulative consumption and production, respectively. Our water heater is electric, you see, and my sanitation procedure for bottles is bleach followed by a scalding water rinse (to rid the bottles of bleach).